Why outsource to a Fund Administrator? How does LeverPoint determine pricing? Where is LeverPoint located? How will location affect our relationship? LeverPoint is located in upstate New York, about 20 miles north of the Capital, Albany. LeverPoint’s location enables us to provide our customers with top quality service at a reasonable price. With a variety of top colleges and universities nearby, we have a large pool of talent to draw from. Our location, being outside New York City and Boston, allows us to keep our overhead low, a savings that we can pass onto our clients. 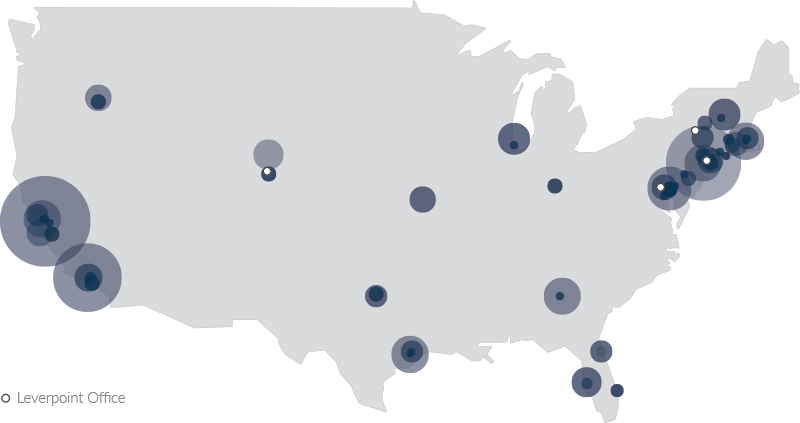 You can find LeverPoint representatives in New York City, Maryland and Colorado, as well. While, physically, we may be miles away, our commitment to customer service and our accessibility puts us virtually down the hall from our clients. SSAE 16 Type II: What will this tell me about LeverPoint? SSAE 16, also called Statement on Standards for Attestation Engagements 16, is a regulation created by the Auditing Standards Board (ASB) of the American Institute of Certified Public Accountants (AICPA) for redefining and updating how service companies report on compliance controls. This report is intended to provide LeverPoint clients with a general understanding of the procedures and internal controls related to the fund administration services of LeverPoint. It is specific to the internal controls applicable to the operating environment at LeverPoint to the extent that such controls are deemed relevant to the clients own internal control structure. The scope of the report is focused on fund administration services for private equity funds and venture capital funds’ system. LeverPoint’s management and supervisory personnel monitor the internal controls and ensure controls are operated effectively as a routine part of their daily activities. We work closely with our clients to ensure that there is a clear understanding of what services and deliverables will be provided and establishes that understanding through various contractual agreements. How do you ensure privacy and security for your clients? The software of choice at LeverPoint is Investran, a third-party application suite, consisting of fund accounting, reporting and customer relationship management tools. We own and use this software to process portfolio and partnership transactions, maintain general ledger and investor capital accounts, and track other investor data for each client within the Investran database. LeverPoint also utilizes IntraLinks, also a third-party digital workspace that provides online fund reporting for investors. LeverPoint handles the administration of individual workspaces for many of our clients, which house fund documents including limited partnership agreements, capital call notices, distribution notices, annual and quarterly financial statements, tax documents, and other general correspondence. Our investor services team works to upload all of the documents to each separate workspace, as well as maintaining login access and user information for all investors and other users.